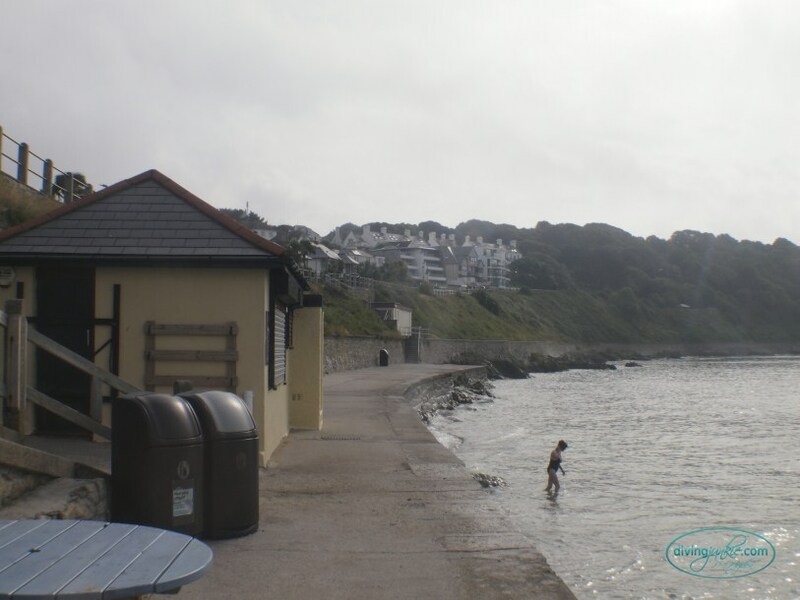 Castle Beach is a great little shallow dive, just off the beach is UB-128 which you can find instructions on how to find in Mark Milburn’s guide to wrecks around Falmouth. 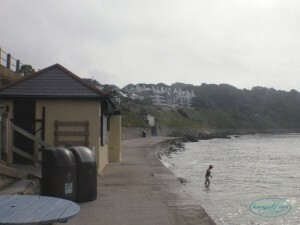 There is a slope down to the beach so is great access for everyone. Parking just above is hard during summer months but at the quieter times is easy and was free last time I went. The beach vanishes at high tide, but this does make water entry easier than walking over the beach and reef at low tide. There is a seating area next to the cafe, with everything to choose from for an after dive lunch or drink, or there is the little bar down the road and the cafe will happily look after your keys if you ask them. The varying bottom types from stone beach, over a rocky reef with many gullies to a gravelly bottom and sand has many types of animals and plants, most of the species you can see here are common around Cornwall but the U-boat wreck homes a massive little ecosystem of its own. The larger seaweed was cut off by an underwater historical or archaeological team when they studied it in 2013 over the wreck and surrounding area but they did a really good job not disturbing the other species too much and it is recovering quickly. With slightly less cover there are not as many fish species as you would expect, although it does appear to have a proper little colony of wrasse with one large female, it is also shelter to many young, saw a baby cuttlefish which could have been no larger than 15-20mm. Have also seen Maerl growing on the gravelly bottom at 8-9m further out, along with many other species.